Hi Doodlebug Fans! Christine joining you today for the very first time! Polar Pals is such a fun line to play with and I had the perfect winter pictures from last year to use! Winter is my absolute favorite season - I love the snow and I love the cold! 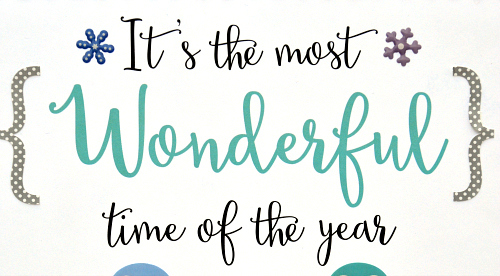 Knowing that it's my favorite season helps you understand why I had to use the "It's the most Wonderful time of the year" paper! Underneath my daughter is a really cute Doodlebug Snowman. The paper on it's own makes for a perfect piece in our shadowboxes or on our clipboards. But I just happened to accidentally set a picture down on it and voila, the idea was born to use it as part of my layout! I love how it worked out to be a great title and I am definitely going to be trying this out with other collections! I added some stickers and snowflake sprinkles to personalize it a little bit more. The purple heart here is also part of the original paper - I added the rest to create my own happy little penguin line. How fun are those little guys!?! I never thought I'd run into a collection that would match my daughters random outfit here - how excited was I when it worked so well with Polar Pals!?! The Doodle Pop Snowflakes and Mini Paperclips help to add a little extra dimension that the layout needed. I like how they also help bring the focus in to the pictures. Thanks so much for stopping by the blog today! 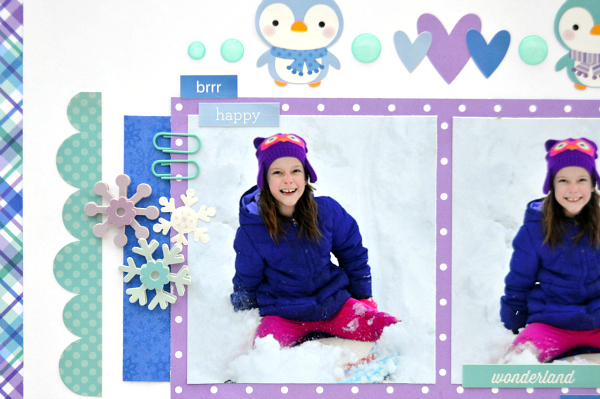 Hope you are having fun scrapping your winter pictures too! Such an adorable LO....love it! Not sure I love winter....but this collection is awesome! This is adorable to the max!! Those penguins are just too cute & the color scheme is awesome!! Kiddo's pic is pretty adorable too! 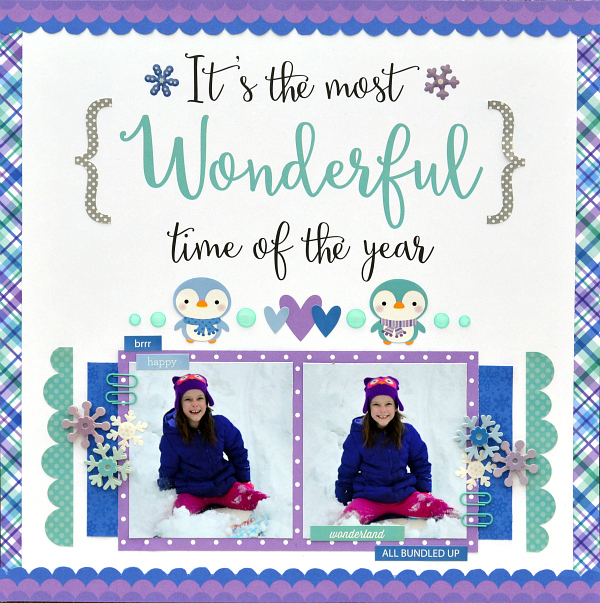 Such a fun layout Christine! I love that you used the 12x12 phrase paper this way -- CUTE!